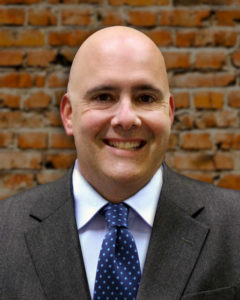 Jeff is a Principal with eAdvancement Consulting and has extensive experience in leading organizations to maximize their potential through fundraising, volunteer and board development, the creation of annual fundraising plans and multi-year strategic plans, and the development of alumni and member programs. Jeff was honored as 2012’s Western New York Fundraising Executive of the Year by the Association of Fundraising Professionals (AFP), and has served as an adjunct faculty member in Canisius College’s Fundamentals of Fund Raising program. A graduate of the Executive Leadership Institute at the Center of Philanthropy at Indiana University, he was one of four people nationally selected to serve as a facilitator at the Executive Leadership Institute in 2000. 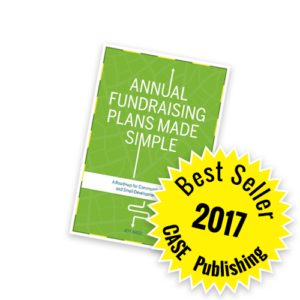 Jeff’s first book, "Annual Fundraising Plans Made Simple: A Road Map for Community Colleges and Small Development Shops", was released in the fall of 2016 by CASE Publishing. It was CASE’s top-selling book in its category in 2017. In 2017, Jeff was a contributing author for the annual giving module in the Association of Fundraising Professionals’ “Fundamentals of Fundraising Course” Participants Manual, which is distributed worldwide to students enrolled in the program. Jeff is involved in numerous community organizations and activities. Currently, he serves as Immediate Past President of the Association of Fundraising Professionals, Western New York Chapter, and as Chairman of MusicalFare Theatre in Buffalo, NY. If you are one of the many talented, dedicated people who tend to rush from one urgent deadline to the next, then Jeff Bagel, CFRE has thrown you a lifeline. 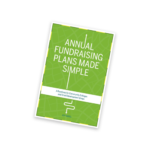 Jeff makes a compelling case for developing a realistic annual fundraising plan and provides specific practical guidance and templates adaptable to institutions of any size and facing any set of circumstances. Jeff shows how proper planning can optimize your performance and that of your fundraising operation, as well as improve relationships with your supervisor, board members and colleagues. Ask Jeff to speak at your next conference, retreat or symposium or to develop and present a dynamic and engaging webinar. CFRE International certifies experienced fundraising professionals aspiring to the highest standards of ethics, competence and service to the philanthropic sector. Jeff Bagel, CFRE earned his designation in 1999 and was most recently recertified in 2017. The Council for Advancement and Support of Education (CASE) is one of the world’s largest nonprofit educational associations. It has more than 3,670 members institutions and serves nearly 81,000 professionals. In addition to being a CASE published author, Jeff Bagel, CFRE is also a frequent speaker at CASE conferences and webinars. The Authors Guild is the nation’s oldest and largest professional organization for writers. Since its beginnings over a century ago, the Authors Guild has served as the collective voice of American Authors. Jeff Bagel, CFRE became eligible for membership and joined the Authors Guild in 2015. The Association of Fundraising Professionals (AFP) represents more than 30,000 members in more than 230 chapters throughout the world, working to advance philanthropy and promote high ethical standards in the fundraising profession. Jeff Bagel, CFRE received the 2012 Fundraising Executive of the Year award from the AFP WNY Chapter. He currently serves as the Immediate Past President of the WNY Chapter and is a frequent speaker at AFP meetings and conferences. In 2017, Jeff was a contributing author for the annual giving module in the Association of Fundraising Professionals’ (AFP) “Fundamentals of Fundraising Course” Participants Manual, which is distributed worldwide to students enrolled in the program. AcademicWorks is an industry-leading provider of cloud-based administrative solutions for institutions of higher education and nonprofits. Jeff Bagel, CFRE designed and presented a webinar for AcademicWorks’ clients that provided strategies to improve their scholarship programs and integrate their scholarship programs into their annual fundraising plans.